7-10 working days from approved artwork. Additional options added to product may extend this time, Allow an extra 2-3 working days for an option. 1. What is the Eggshell Paper? Eggshell White is an acid free, slightly textured bright white archival quality paper with a toothy finish. It is available in 300gsm card. It is also the ideal choice for party / wedding invitations, stationery, brochures and annual reports. 2. 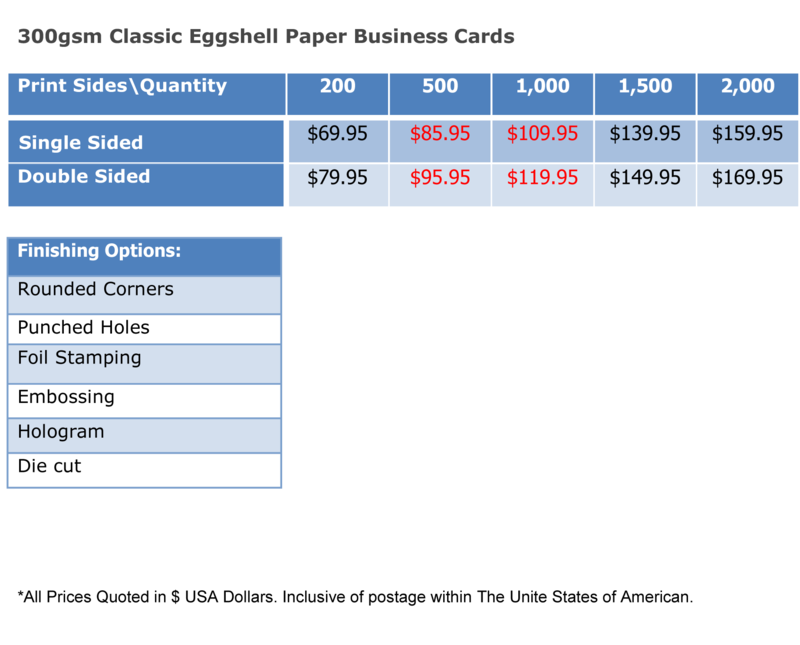 Why Choose the Eggshell Paper Business Cards? 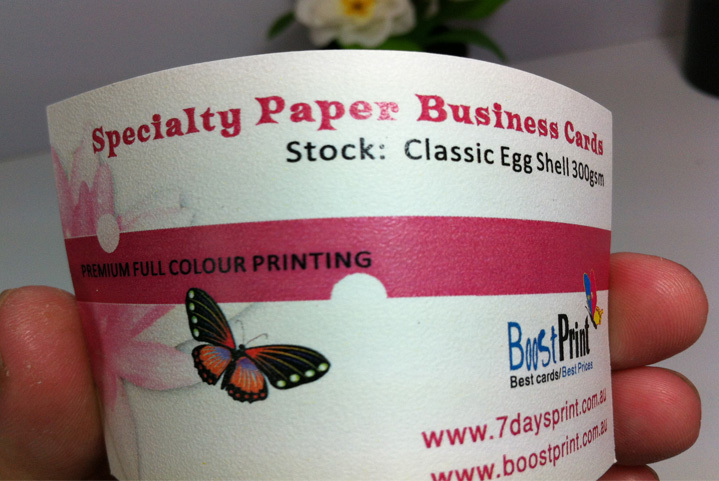 Eggshell business card paper will really make your business card stand out and be unique. This paper really appeals to the touch and when you hand your business card to your clients they are sure to be tempted to give your business card a feel or two. 3. Can Eggshell Paper Business Cards be written on? 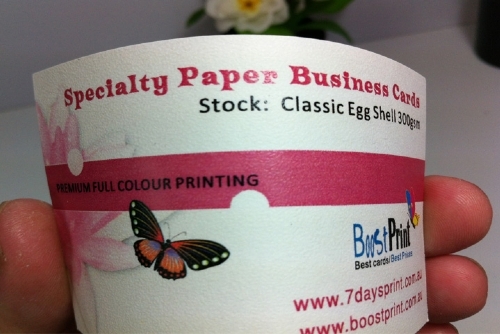 Yes, our Eggshell Paper Business cards can be written on with pens, ball-point pens and pencils.